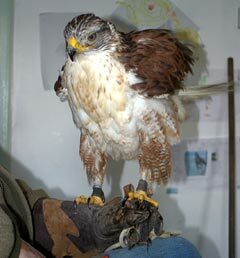 We have a special interest in raptor medicine and surgery and full facilities to take care of these special patients. 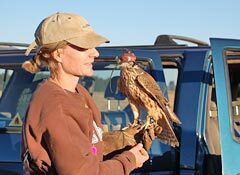 A falconer vet for falconers – someone who speaks YOUR language and is dedicated and interested in your bird. 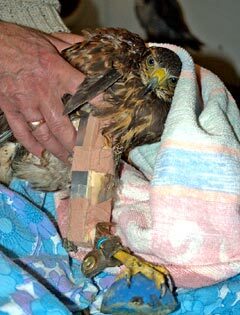 Whether it is a kestrel or an eagle, you can be assured of the best care in the North West. We have everything from blocks to incubators and are happy to provide advice over the phone. 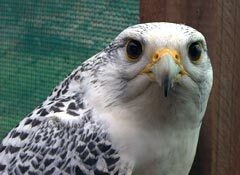 Microchipping has become the most reliable way of identifying individual animals and this includes birds of prey. Rings can become illegible or can be taken off. Microchipping has two advantages: it absolutely identifies an animal by a unique number and it allows the animal to be returned to its rightful owner if the animal has been lost. Microchipping, although not entirely foolproof, is simple, reliable and inexpensive. In racehorses it has been mandatory for years. All dog and equine passports require the animal to be identified by microchip. Microchips are small transponders the size of a rice grain. They are plastic coated and hold a number consisting of 9,10 or 15 digit. Some chips have a small silicone head with holes in the head. This allows the body's tissue to grow through the little holes, without causing any sort of reaction, and this anchors the microchip in the keel area. The old problem of finding a microchip halfway down the bird's body several years after microchipping is thus resolved. There are many different types of microchips. They work, mostly, equally well, as long as the chip is ISO 11784 (International Standard) compliant. The ISO certification means that the chip can be read in any country. This is important when travelling over borders with birds or when exporting/importing, so that any customs agency can read the chip. 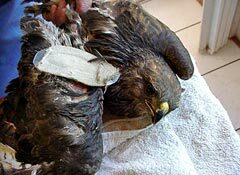 The microchipping procedure is as follows: The bird is cast and held on its side. Usually there is no need for sedation or anesthesia. The bird is scanned looking for previously implanted chips. 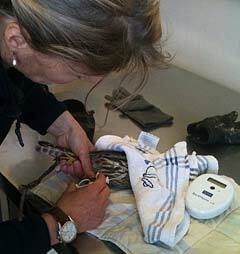 Then the feathers over the keel are parted and the microchip is implanted with the use of an applicator. The applicator essentially is a large needle with a handle and a small rod that pushes the chip under the skin once the tip of the needle has penetrated. The preference these days is to microchip subcutaneously (under the skin) and not into the muscle. This is less painful and does not cause any scarring or damage to the pectoral muscles. We apply a small drop of tissue glue to seal the hole in the skin made by the microchip needle. This prevents the microchip popping back out when the birds stands back up onto the glove and flaps its wings. 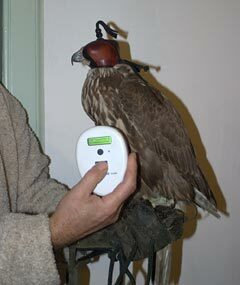 The bird is then scanned again to confirm that the microchip is reading ok. The entire procedure usually takes less than thirty seconds. Although the restraint period is brief, it is stressful for the bird to be cast. 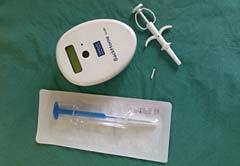 The microchipping needle is large and there is some discomfort as the needle penetrates the skin. Rejection of the chip, or infection is a rare occurrence. Incorrect chipping procedure is more likely to cause problems than the chip itself. The occurrence of tumours has been documented at chipping sites, especially in species like cats which are more prone to fibrosarcoma type tumours. In birds this has not been documented – however far fewer birds than cats have been microchipped, so that this is something that will need monitoring into the future. There are stories of thieves removing microchips from birds. It is difficult enough to locate and remove microchips in a dead bird, in a post mortem examinations. The scanner scans quite a large field and the chip is difficult to locate precisely. So although it is technically possible to remove chips, it is not easy and is likely to cause marked distress, bleeding and scarring in a live bird. The owner's details are then registered on a database. These databases are administered by various companies such as Identichip (Animalcare) or Tracer (Bayer) or Backhome (Pfizer). 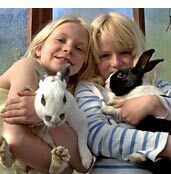 After the initial microchipping charge at the vets, usually £15-£25, there is no other charge. If you move house or want to change any other details such as a telephone number, there is usually a £5 administration charge levied by the company in question. At present it is not a requirement for birds to be microchipped for import or export, but it does make the paperwork a great deal easier. There can be no argument over a worn number on a ring, which you read as an '3' and the DEFRA official interprets as an '8'. Following equine and pet passports, there is no doubt in my mind that microchipping will become mandatory for any birds crossing borders in the near future. A bird belongs to the person in whose name the microchip is registered. If you buy a bird, ensure that you know the microchip number and that the seller signs the change of ownership form. Alternatively, ask the seller for a letter, stating the bird's details (Name, species, age, etc) including the microchip number, stating that the bird is now legally yours and that the seller agrees for you to register the bird/microchip in your name. Very often birds are sold, microchipped but the microchip is never registered in the new owner's name. The bird may be sold several times. If you are the last buyer, and wish to change the microchip into your name, it becomes very difficult to prove that you legally acquired the bird, and the bird remains the legal property of the owner from several sales ago! In the case of divorce, or a partnership break-up, the bird is legally the property of the person to whom the microchip is registered. On the other hand, if your bird was stolen or lost, and it is found and scanned, you will be quickly reunited with your bird as there can be no discussion. You are the owner and it does not matter for how long the finder has had the bird in their care – they do not have a claim upon the bird. Remember to keep your details on the database updated. Check the chip at least once a year. There is a very low incidence of chips malfunctioning, but it is best to check. And finally, microchips cannot prevent theft. They can only serve to identify the individual bird and it's registered owner.